Hawaii has one of the lowest age-adjusted rates of drug overdose deaths involving opioids. 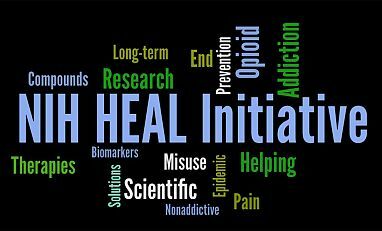 In 2017, there were 53 drug overdose deaths involving opioids—a rate of 3.4 deaths per 100,000 persons. 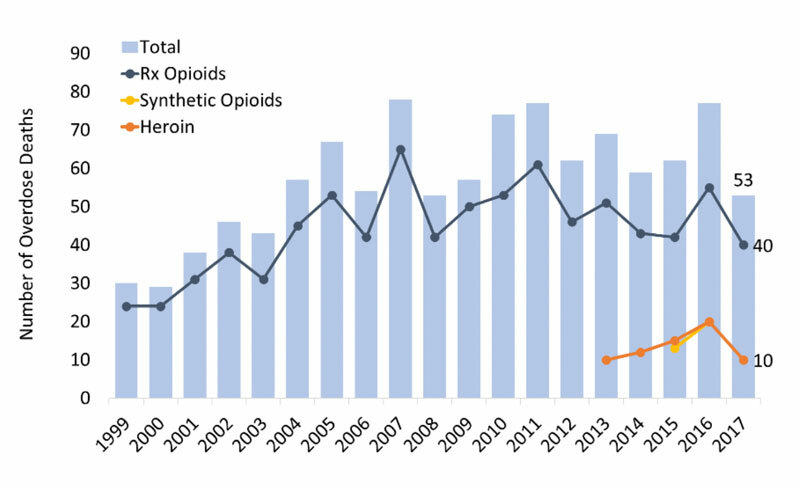 There has been no overall change in the number of overdose deaths involving prescription opioids in the last decade, with 40 deaths reported in 2017. Ten deaths involving heroin were reported in 2017 and like those involving prescription opioids, no significant change has been seen since data collection began in 2013. Even less data is available on deaths involving synthetic opioids other than methadone (mainly fentanyl) with no reported deaths submitted in 2017. Figure 1. Number of overdose deaths involving opioids in the Hawaii, by opioid category. Source: CDC WONDER. In 2017, Hawaii providers wrote 37.0 opioid prescriptions for every 100 persons (Figure 2), compared to the average U.S. rate of 58.7 prescriptions. This was among the lowest rates in the United States that year (CDC). This was also the lowest rate in the state since data became available in 2006. 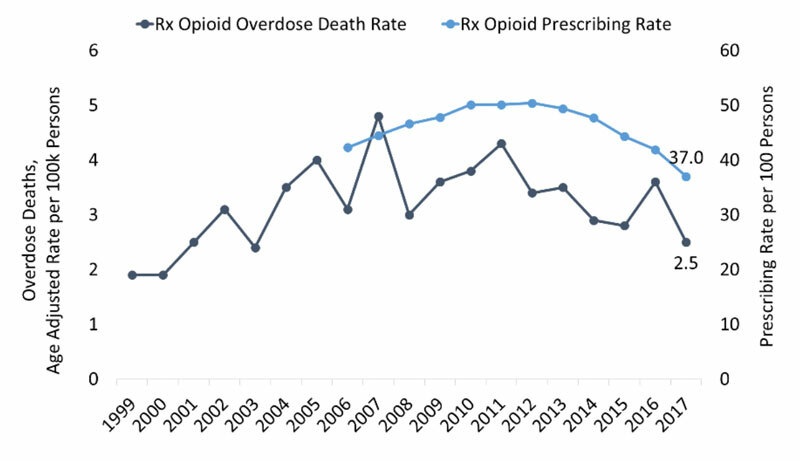 The age-adjusted rate of overdose deaths involving opioid prescriptions has also followed a decreasing trend from a peak of 4.8 deaths per 100,000 deaths in 2007 to 2.5 deaths per 100,000 persons in 2017. Figure 2. Hawaii age-adjusted rate of overdose deaths involving prescriptions opioids and the opioid prescribing rate. Source: CDC and CDC WONDER. 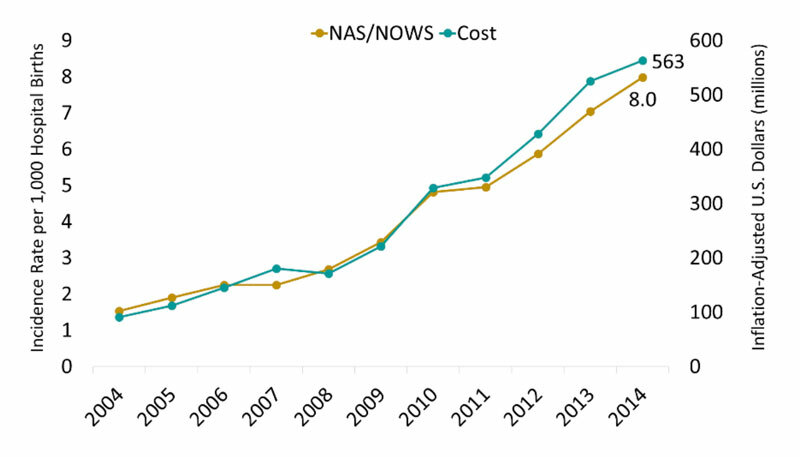 Recent rates of NAS/NOWS in Hawaii are not available. The most recent findings were reported for 2013 when the rate was 0.7 per 1,000 hospital births (CDC). Figure 4. Hawaii: Estimated percent of male vs. female with new HIV diagnoses, by transmission category, 2016. Source: CDC and www.AIDSVU.org. State Incidence: Of the new HIV cases in 2016, 82 occurred in Hawaii. Among males, 13.7 percent of new HIV cases were attributed to IDU or male-to-male contact and IDU. 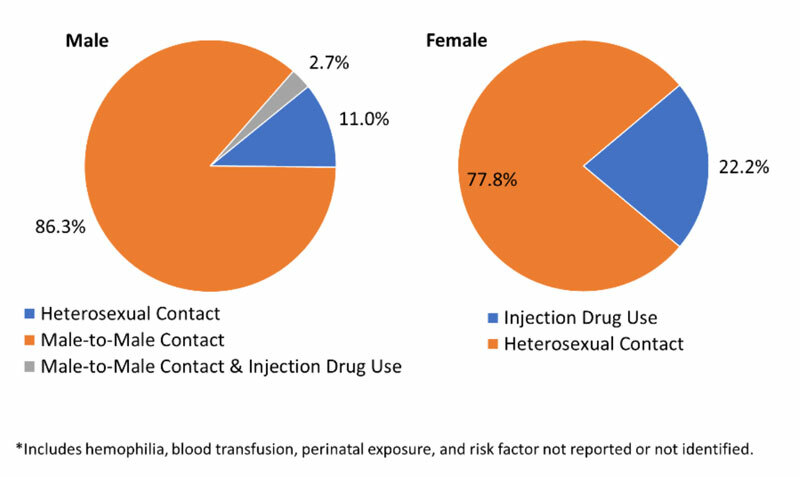 Among females, 22.2 percent of new HIV cases were attributed to IDU (Figure 4)(AIDSVu). State Prevalence: In 2015, an estimated 2,788 persons were living with a diagnosed HIV infection in Hawaii—a rate of 233 cases per 100,000 persons. Of those, 13.0 percent of male cases were attributed to IDU or male-to-male contact and IDU. Among females, 25.1 percent were living with HIV attributed to IDU (AIDSVu). U.S. Incidence:In 2016, there were an estimated 41,200 new cases of acute HCV2 (CDC). Among case reports that contain information about IDU, 68.6 percent indicated use of injection drugs (CDC). State Incidence: This data is not available for the state of Hawaii (CDC). State Prevalence: In Hawaii, there are an estimated 6,800 persons living with Hepatitis C (2013-2016 annual average), a rate of 610 cases per 100,000 persons (HepVu).